2016-17 Faculty Fellowships for Teaching & Learning NOW AVAILABLE! 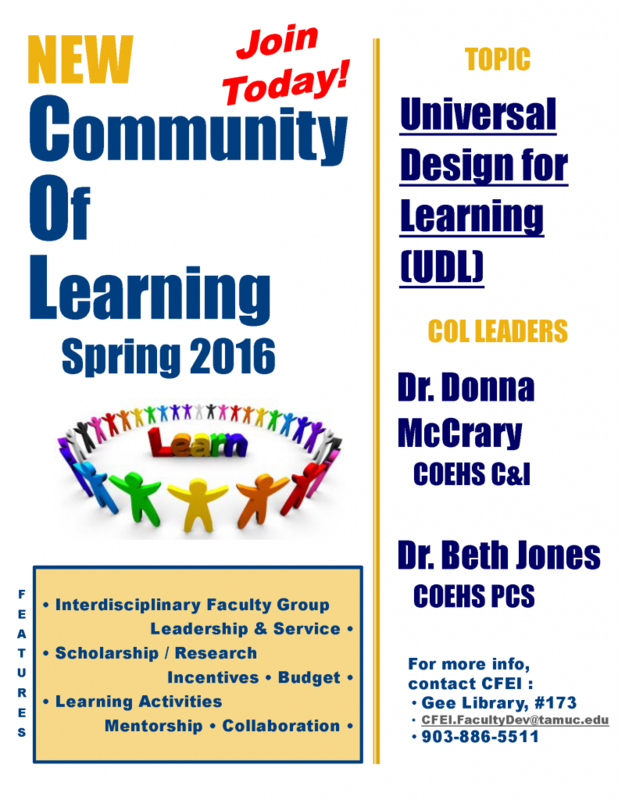 Learn more about Communities of Learning. Contact Felicity Grandjean to join this Community of Learning focused on Universal Design for Learning! This Community of Learning will begin in March.